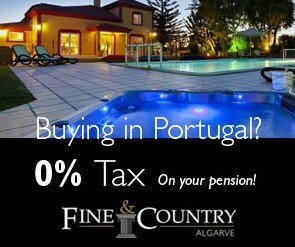 Welcome to the unofficial website of the Portuguese Embassy in the United Kingdom. This site will provide you current information on our bilateral relationship on a political, economical, cultural, social and educational level. Besides, it will also promote activities and events that are created to strengthen the bilateral relationship between Portugal and the United Kingdom on aforementioned levels. 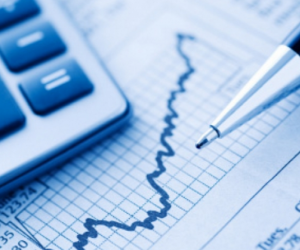 Nevertheless, the site will also include the information about Portuguese business culture as well. The Embassy of Portugal in London is one of 506 foreign representations in the United Kingdom, as well as one of 192 foreign representations in London alone. 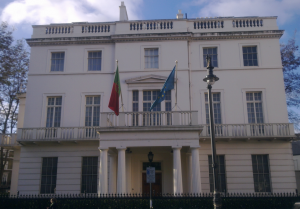 Furthermore, the Embassy of Portugal in London is one of 334 Portuguese diplomatic and consular representations all over the world. In addition to the Embassy in London, Portugal has four other consulates in the United Kingdom. These offices are located in Belfast, Edinburgh, Jersey, and Manchester. It is important to mention that consular activities in the United Kingdom include services provided to the Portuguese community. The Portuguese embassy in the United Kingdom is the symbol of the great alliance, and it is determined to protect these relations through numerous projects and events which have the aim to bond the two communities even further. Recent events with the United Kingdom leaving the European Union will not have effect on the alliance between the two countries which has been repeated on several occasions. It is a well-known fact that Portugal and the United Kingdom over the longer period of time have built solid foundations for today´s good relations. It is said to be the oldest alliances in Europe, on which both countries are proud off and determined to protect. The Centenary Appeal has the goal to celebrate as well as promote the historic alliance between these two countries. As it is already mentioned, this alliance is the oldest continual diplomatic alliance existing between two countries in the world. The alliance dates from the signing of the Treaty of Windsor on 9 May 1386. Queen Catherine of Braganza, Regent of Portugal who was King Charles II’s wife; to the Peninsular War when the two countries joined their forces and protected themselves from Napoleon at Torres Vedras. From the reigns of King Carlos I and King Edward VII; through the both World Wars; to the period of democracy restoration in 1982: Portugal and the United Kingdom have been united in numerous occasions and different ways. The Anglo-Portuguese relationship was particularly strengthened during the World War I when Portugal decided to enter the war in 1916 on the Allies´ side. It is an important event because from that moment onwards the Portuguese units fought alongside the British on the battlefields of Europe and East Africa. Portugal remained on the same side even during the World War II, allowing the use of the Azores Islands as the Allies bases. Even in the recent history we can observe the influence of the oldest alliance in Europe, and witness the extreme support that these countries offer to each other, which is the positive example of a successful foreign policy. This alliance withstood the numerous hits and remained intact through the long period of time. Portugal and the United Kingdom have further extended their relations through memberships to the European Union (EU) and North Atlantic Treaty Organization (NATO). Despite the fact that the United Kingdom´s decision to leave the EU in popularly called Brexit, Portugal remained a support to the UK. It is critical to mention that the alliance between the two countries have allowed a significant number of bilateral trades and foreign investments, besides the alliance influenced tourism and mutual flow of the commodities and goods between the two countries. Therefore, today we have large communities of Portuguese nationals living, working and studying in the United Kingdom, and vice versa. Both countries improved their bilateral relations through state and official visits of the highest state and government representatives. For instance, Her Majesty Queen Elizabeth II paid State Visits on two occasions, once in 1957 and the other in 1985, while His Royal Highness The Prince of Wales and Her Royal Highness The Duchess of Cornwall paid an Official Visit to Portugal in 2011. Portuguese President of the Republic, Mario Soares paid a State Visit to Britain in 1993, and the President Jorge Sampaio paid an Official Visit in 2002. Other numerous visits by members of the Royal Family, as well as both prime ministers and cabinet ministers of the two countries, have been a great way to commemorate, promote and revitalise the relations between the countries. Further, these visits are a regular event on the bilateral agenda of both countries. The President of Portugal, Marcelo Rebelo de Sousa visited London on 16th and 17th November 2016. He was invited to lunch at the Mansion House by the Lord Mayor of London and had a meeting with Prime Minister Theresa May on Downing Street. The next day de Sousa was received by Queen Elizabeth II at Buckingham Palace. Portuguese Prime Minister Antonio Costa mentioned the importance of the Anglo-Portuguese alliance, stressing that the relations between the two countries will not be influenced by Brexit. According to Secretary of State for European Affairs Margarida Marques, Portugal confirmed that no negotiations over the situation caused by Brexit would take place until Article 50 of the Lisbon Treaty is triggered. As it was previously, announced the Article 50 would be activated by the end of March. 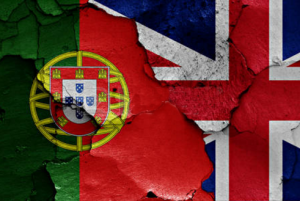 The Portuguese embassy in London is determined to offer support for the Portuguese community in the United Kingdom following the Brexit. The Embassy recommend to Portuguese living in the UK to seek the status of resident citizens if they have been in the United Kingdom for more than five years.